OTC 2014 falls on 5-8, May, 2014, it is one of the most important oil gas event held in Huston, TX, USA. As in previous years, GN will bring heavy machine and demonstrate the actual Solids Control Equipment to the world buyers. GN Solids America wholly held by GN Solids Manage is in operation with sales office, warehouse inventory and after sales service. If you would like to have a visit to the Houston Office during the show, please email us to request the meeting, and now Vacuum Degasser is 30% discount OFF for sale, if you have any question please contact us. 500GPM mud cleaning system is the very tipical size for No Dig drilling rig. GN just finished 2 sets 500GPM No Dig mud cleaning system to CPP and ready for delivery next week. 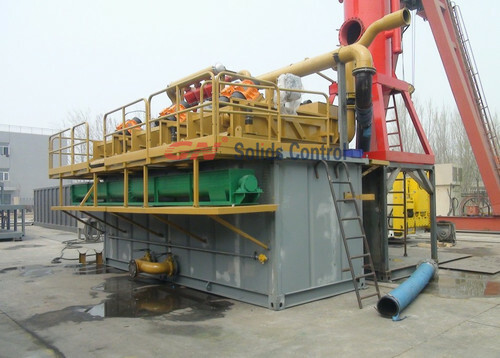 Why A Mud Cleaning System Wil Be Required For Drilling Rig? What Is The Drilling Mud System Application? Drilling mud system is well used in drilling industry, but what a drilling mud system do and what’s the applications? Drilling mud system is working for solids separation from driling mud and control mud density and viscosity for re-use, so it’s named drilling mud recycling system. But why a mud system should do this job? Drilling mud recycling machine like shale shaker, desander, desilter and decanter centrifuge. Trenchless drilling is doing to avoid dig on ground but will need mud recycling tank to recycle drilling mud. Why trenchless drilling need drilling mud and mud recycling machine? 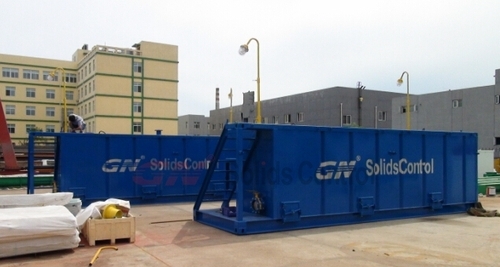 GN Solids supply trenchless mud recycling tank to all over the word. 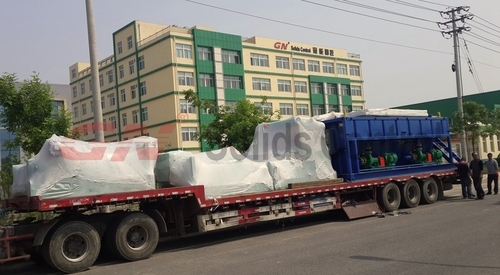 Please contact GN Solids freely for trenchless mud recycling tank. Off shore drilling need higher standard drilling equipments, many drilling mud systems are build for on shore drilling only. GN just finished one off shore drilling mud system for a HK clients last week. Why Many Buyyers Choose GN For Mud system? GN Solids is the most reliable manufacturer from China providing leading patent equipment. 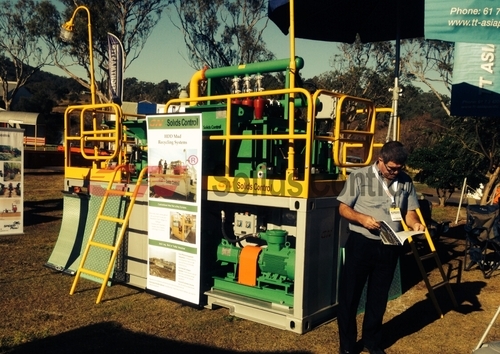 The equipment include solids control equipment, drilling waste managementequipment and shale shaker screen. 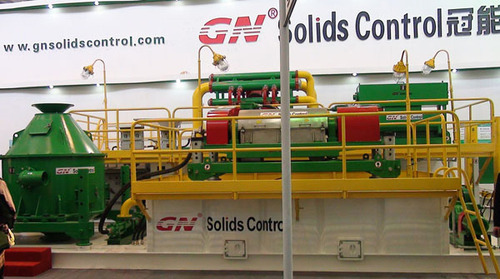 GN Solids can offer you customized design of solids control system as per customer requirement, especially for the layout of mud sytem with shale shaker, mud cleaner, centrifuge etc. GN Solids have got many certificates, API certificate, ISO9001 Certificate, HSE certificate. GN Solids can offer fast response on jobsite equipment commissioning. Based on this, but not limited to this, many drilling company, oil service company, rig company choose GN Solids.